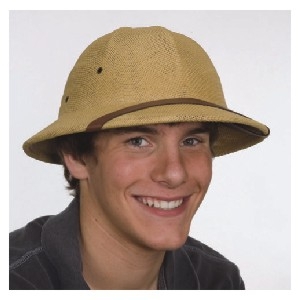 Our Pith Helmet is a great new alternative to the lifeguard hat. Its lightweight, open weave cloth allows for a constant airflow, keeping the head cool at all times. 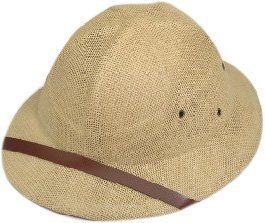 The Pith Helmet is a great look for many different themes! Lightweight linen-like, open-weave cloth allows air circulation; removable, washable terry cloth sweat band.